I really did not mean to get any books these week (yes, I know I always say that), but Fully Booked Eastwood is on sale…so how can I resist? It’s not like Cyber Monday, but still. Resistance against books is always, always futile. So many books, so little time! :o I have no idea when I’ll be able to read this and my mountain of TBR…but I guess I should be used to that already, right? Yay for S&S’ e-galleys! I got all of that too~ and more, of course. 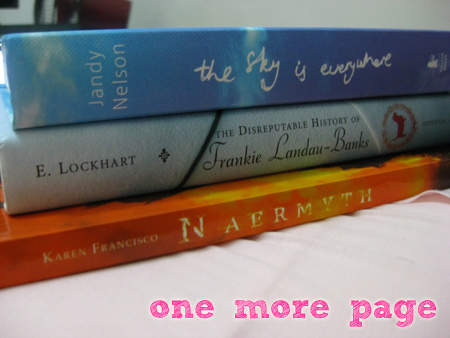 I really like your mailbox, especially the e-galleys:) I need to read the Sky is Everywhere soon, sounds so good. Have fun with your new books! 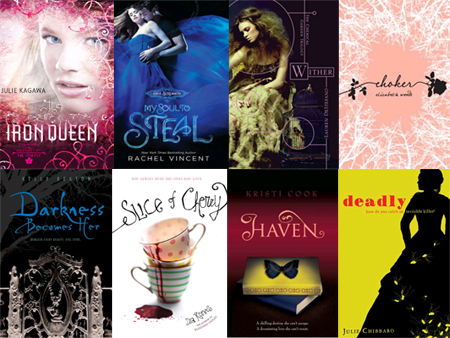 And don’t forget to check out my giveaway, ending on Nov 30th and open internationally, here! Congratulations on winning! Normally I will sigh in sympathy over not being able to resist book-buying. Not now, as I terribly have to save for rainy days. From your lists, I a, intrigued by: The Iron Queen by Julie Kagawa; Darkness Becomes Her by Kelly Keaton; and Naermyth by Karen Francisco. I look forward to reading about what you think of these books. I think the sales and the fact that our bonus arrived got me to buy stuff. But it’s okay. I’m holding off on buying now because Christmas is coming and I’m going to put the remaining books I want on my wish list. Simon and Schuster has a great Spring line up! :) And ah! The hardcover of Frankie – I want it! I might have to track it down. Anyway, hope you enjoy all your awesome new books. I actually liked the paperback cover of Frankie, but this one has its own charm. :D I hope you find a copy! k, Great books this week, Tina! Sorry for my little rant. I’m sure you will adore them all! Annnd, I love your edition of Jandy’s The Sky is Everywhere. 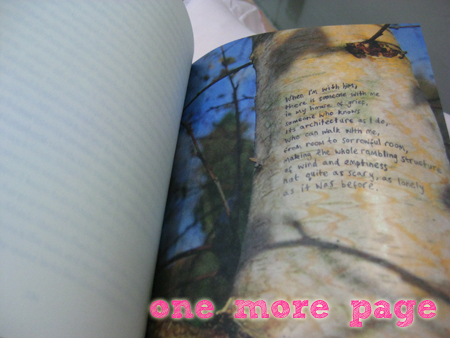 My hardcover (US) is not at all prettied up like yours. Come by Attack of the Book and see what Peep and I have on our IMM. Those all look like wonderful books. If you ever think you don’t want the books you’re getting, you can always send them to me! LOL. Yay, you were able to get the UK edition of The Sky is Everywhere, isn’t it lovely? I enjoyed reading that as well and I’ve been recommending it to other people. I also keep telling them to get the lovely UK edition instead of the US hardcover, which I have. Ilona Andrews FTW! 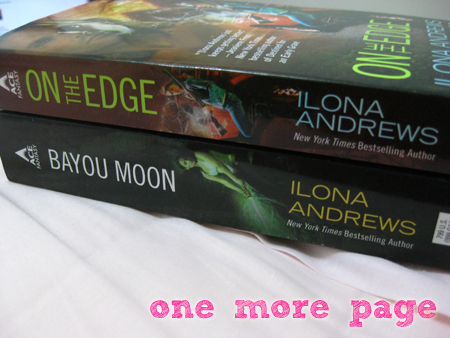 :) Hope you have fun reading the books about the Edge. They’re different from the Kate books but I still like them. Can’t wait for their new books next year. Currently reading The Iron Queen and loving it! I hope you do too! Sooo jealous you have Wither! It sounds amazing! Enjoy your fabulous mailbox! Nice loot! And you’re getting books for free?!? Lucky you were able to make it on the Eastwood sale. I bought David Archuleta’s book (haha!) today at NBS Eastwood and was initially ecstatic to see all the 20% off posters still up. I thought they might have extended the sale… only to later see a man cutting down all the posters. I got the book for full price. Ouch! Anyone know of other bookstores on sale? Need to get another copy of David’s book for someone. Hehe! Looks like you got a lot of good books this week have fun reading! I’ve meant to comment on a couple of your posts lately but for some reason it won’t let me do so on my phone anymore. I’m excited to hear what you think of The Sky is Everywhere and what a win! Can’t wait to hear what you think of The Edge.